Next on my short burst of New York ramen eateries was Hana Noodles. 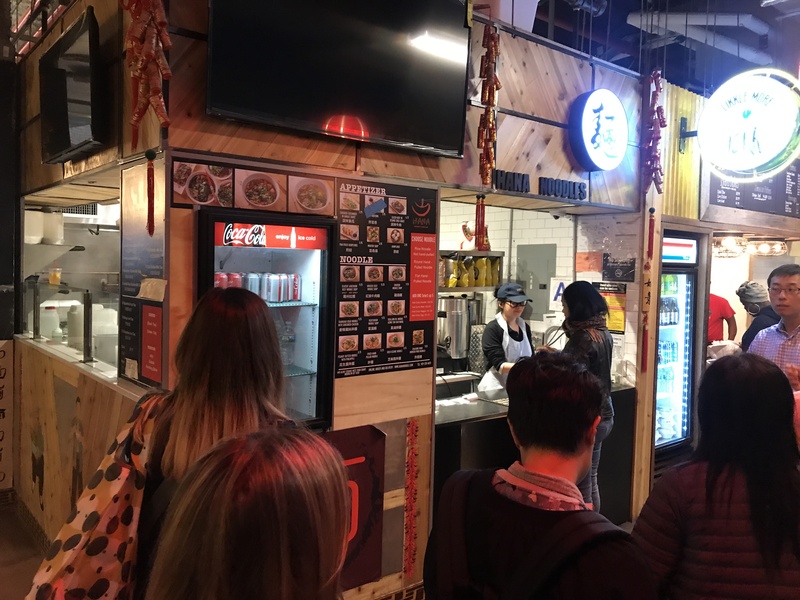 Again, this was a stall located inside a ‘market’, this time the DeKalb Market Hall in Downtown Brooklyn. Now, it turned out this wasn’t strictly ramen (although I’m not sure there are hard and fast rules about what is and isn’t) but more like just regular noodles. However, I’d trecked all the way there so decided to give it a shot. I decided if I wasn’t going to have proper ramen then I should at least pick something a bit unusual so ordered the Peanut Butter Noodles with Pineapple. 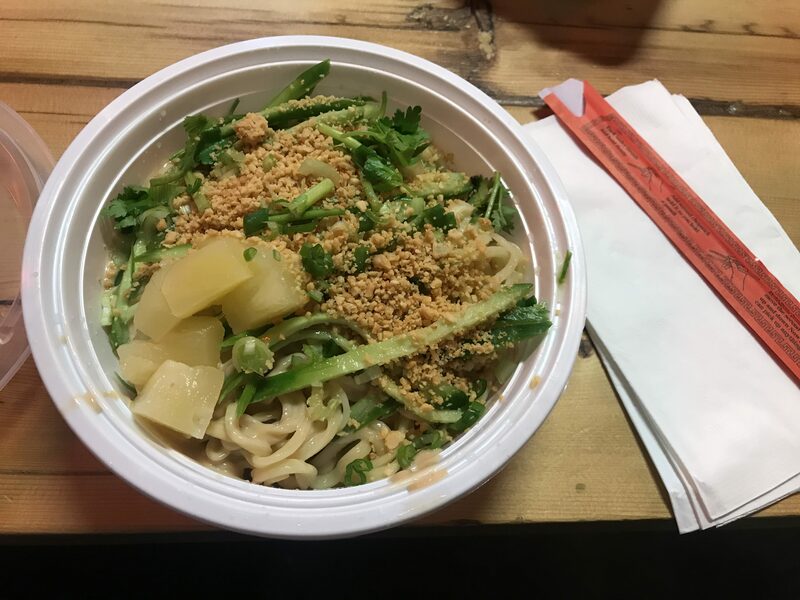 It took a while to make, as all noodles at this noodle shop are hand-pulled to order – you have the choice of noodle diameter and cross section (flat or round) and can watch the chefs getting very physical with balls of dough to create the noodles. I wasn’t expecting the dish to be cold either, but it was a perfect lunchtime snack. On the basis that Hana Noodles wasn’t ramen I feel it’s a bit unfair to score them, but what I did eat was delicious and the service was fantastic. If pushed I’d have to award a 2.5/5 – as a bowl of noodles it was tasty and refreshing, but not being ramen means points are docked!